Located on the western shore of Lake Tahoe just 0.8 miles north of Camp Richardson, the Taylor Creek Visitor Center provides a unique insight into the ecology of the area while visitors escape the high temperatures of the valley. Originating at Fallen Leaf Lake, Taylor Creek runs into Lake Tahoe through a marshy, aspen-forested area. The Rainbow Trail starts just to the left of the Visitor Center and is a half-mile, paved walkway suitable for strollers and wheelchairs. Visitors are first greeted with a view of the lush area where the creek runs into Lake Tahoe. 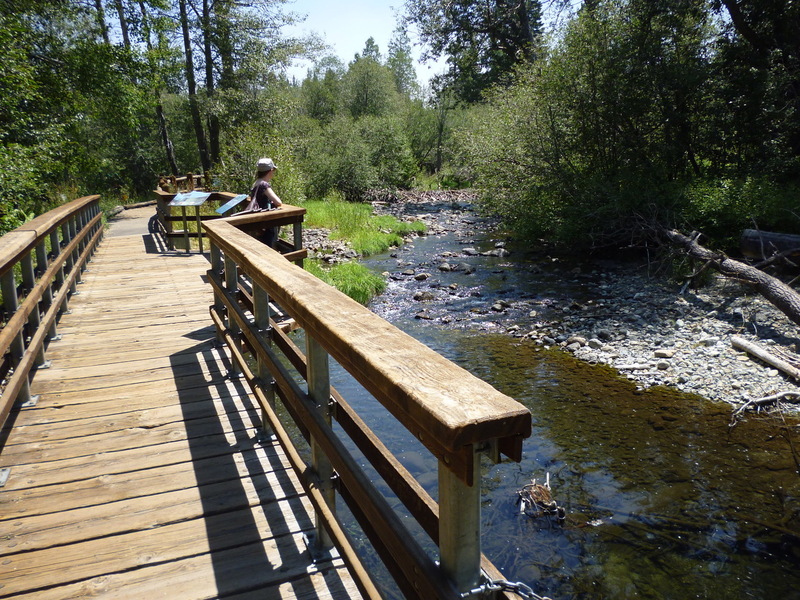 The creek then meanders through an aspen forest filled with interpretive signs and activities for visitors of all ages. These aspen are stunning when viewed boasting their brilliant yellow splendor each October. You will soon arrive at a wooden walkway that runs along a section of the creek and gives an excellent view of a large beaver dam. Plenty of evidence of the beavers procuring their building materials is present. Many trees, stumps, and logs bear the familiar V notches formed by the industrious rodents’ teeth. 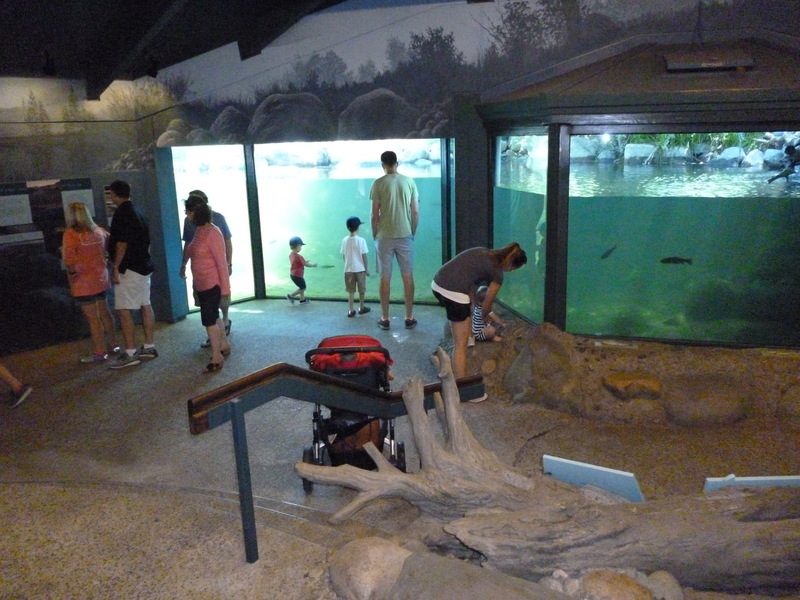 A stream-viewing chamber gives you a unique insight into what is occurring underwater as you descend into room with large windows that provide a cross-sectional look at the stream. Trout and assorted amphibians are frequently visible from the chamber. Continuing back to the visitor center along the loop trail, you will see a snow pillow and rain gauge used to monitor year-round precipitation, as well as encounter more interpretive signs and activities. 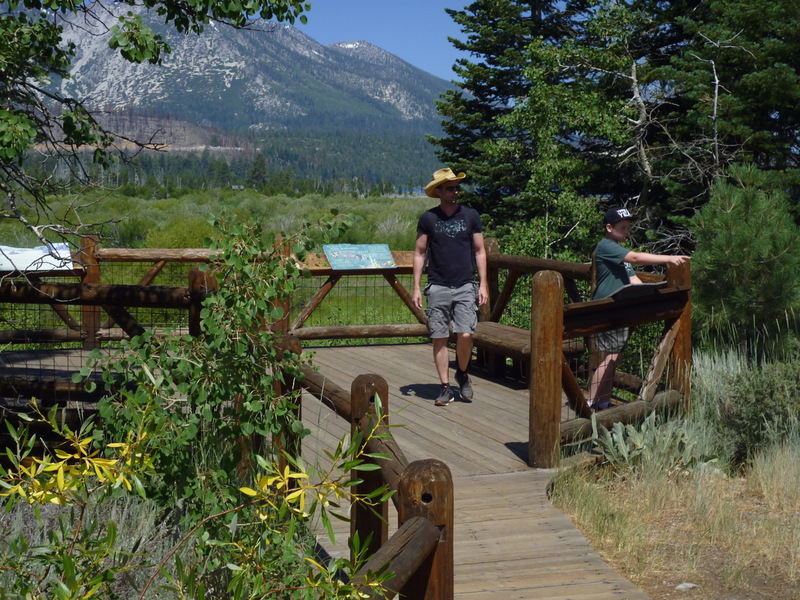 When you arrive at the parking lot, another short trail (half-mile) would take you to the Tallac Historic Site, a beautiful park like area previously covered in this post. Taylor Creek Visitor Center is accessible from Highway 89 and has ample free parking. The parking can be impacted in the fall during the salmon festival when the Kokanee salmon are spawning in the creek, which is quite the event. For more information, please visit the USFS website here. Enjoy your time in this unique spot, which has much to offer to visitors of all ages.